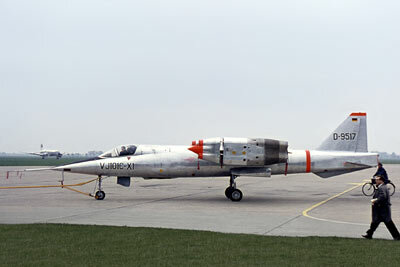 The EWR VJ 101 was a German experimental fighter jet developed as a potential successor to the Lockheed F-104G Starfighter. 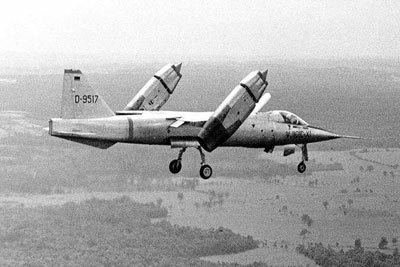 The EWR VJ 101 was unique in that it possessed both VTOL and supersonic capabilities. 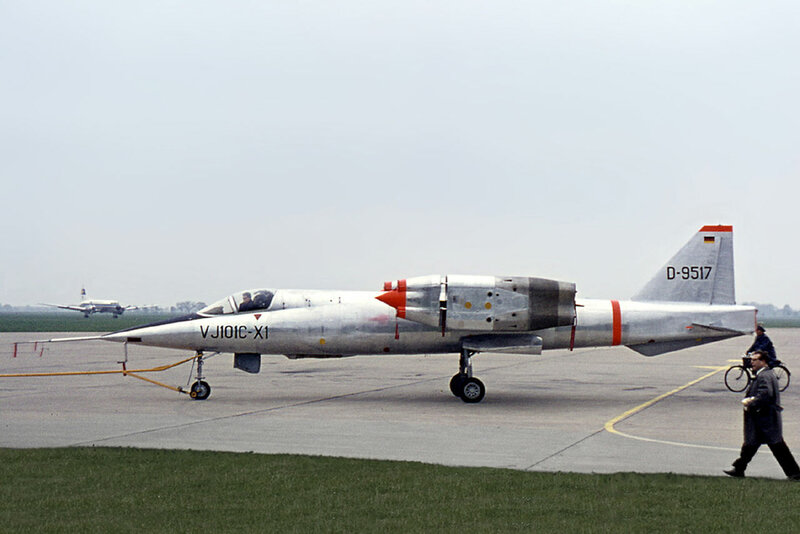 The VJ (short for "Versuchsjager", German for "Experimental Fighter") 101's was able to accomplish both feats thanks to its six Rolls-Royce RB145 turbojet engines. Two engines were mounted within the fuselage and used only during vertical takeoff and landings, while the other four were housed in pairs within nacelles at each wingtip. 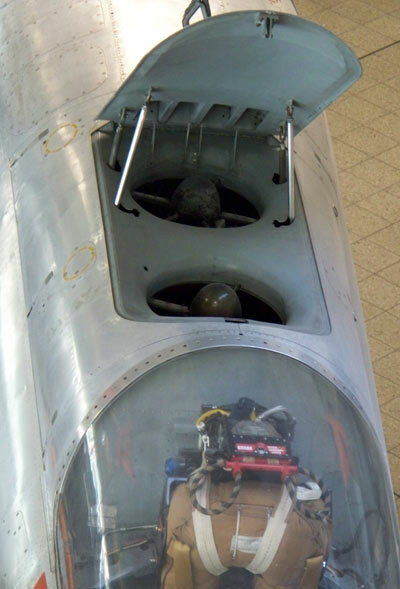 These nacelles could rotate 90 degrees to provide either vertical or horizontal thrust. 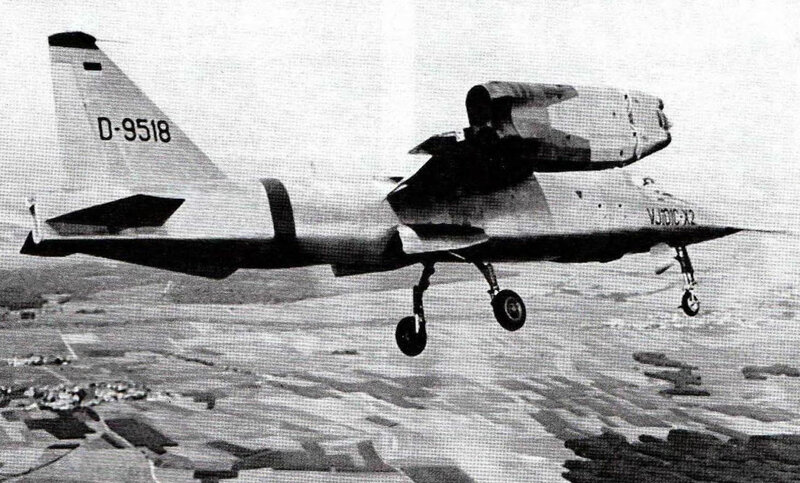 EWR, a company formed after the merger of Heinkel and Messerschmitt, performed the first tethered tests of the concept in early 1960. However this was just a proof-of-concept design and featured smaller engines and a simple skeletal fuselage. Further development of the concept, along with promising initial results, led to the order of two prototypes, X-1 and X-2. 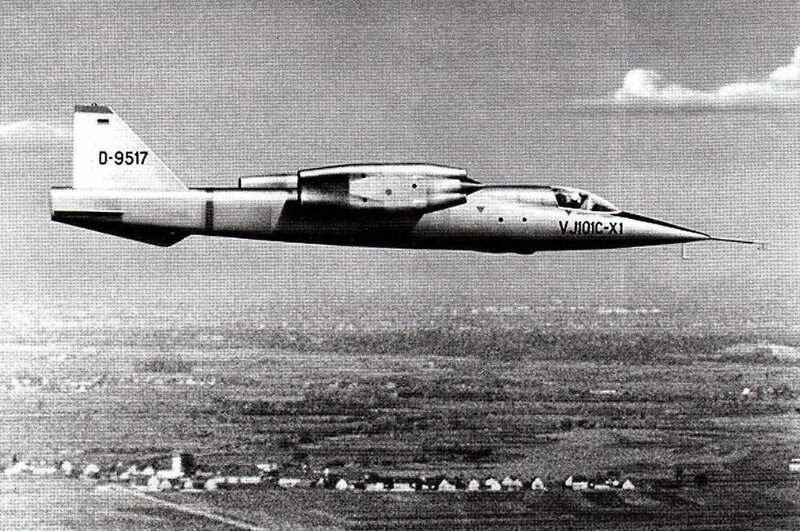 EWR VJ 101C X-1 made its first hovering flight on 10th April 1963. The first transition from hovering flight to horizontal flight took place in September of the same year. 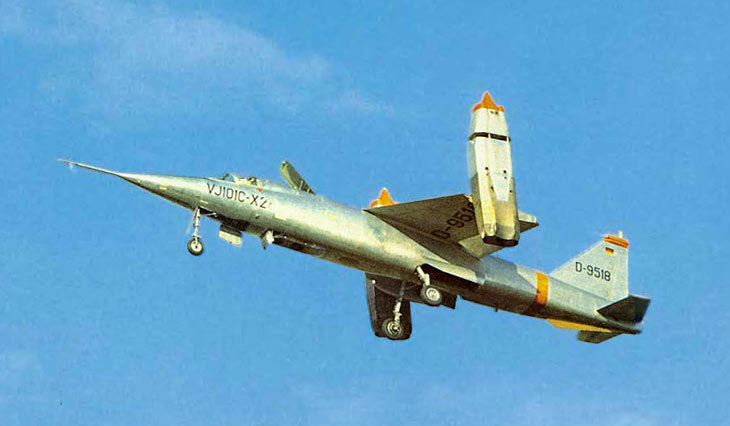 78 further test flights of the X-1 concept were conducted (14 of which included full VTOL/horizontal transitions) before the aircraft was destroyed in a crash shortly after takeoff in September 1964. The pilot managed to eject at extremely low altitude. He survived, but suffered crushed vertebrae in the incident. The cause of the accident was attributed to a malfunctioning autopilot system. 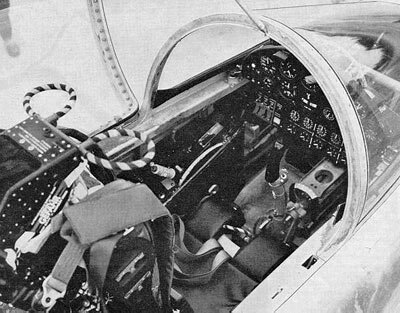 Subsequently the X-2 concept received a new autopilot. 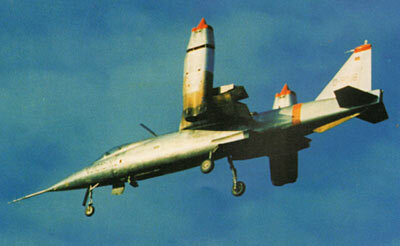 Other improvements over the X-1 prototype included an afterburner system for additional thrust. 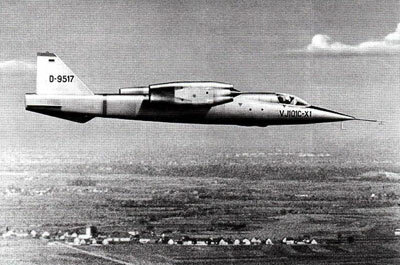 Despite the progress being made in the development of the aircraft, the project was canceled in 1968. Primarily because of difficulties with high temperatures and erosion issues due to the venting of hot gases beneath the aircraft during takeoff and landing. The final nail in the coffin was when X-2 was partially damaged during a heavy landing after the engines ingested hot gases and lost power. Thankfully the sole remaining aircraft survives intact, and VJ 101 C X-2 currently resides in the Deutsches Museum in Munich.